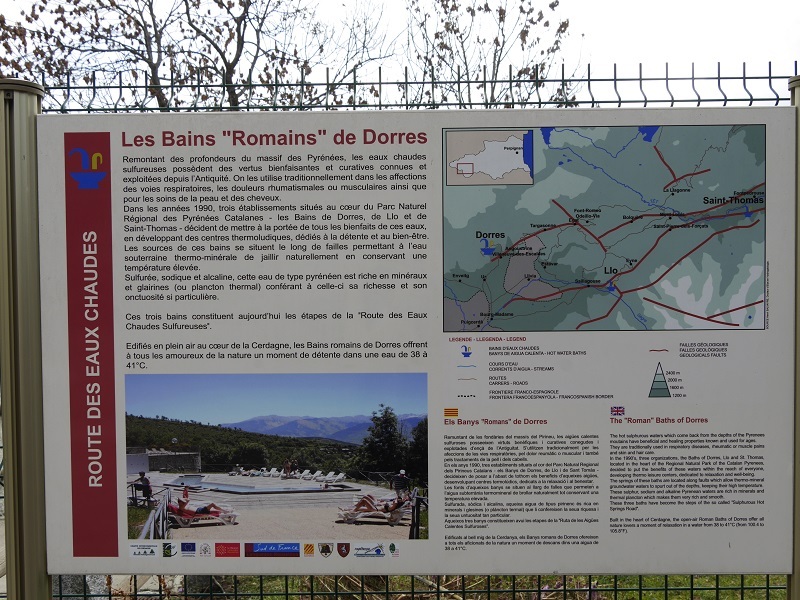 The Dorres Roman baths (Les Bains de Dorres) are located on the site of a hot spring (40 ° Celsius), which flows from the foot of the Dorres village. The picturesque village is located in the French Pyrenees at an altitude of 1450 m, on the Cerdanya plateau. 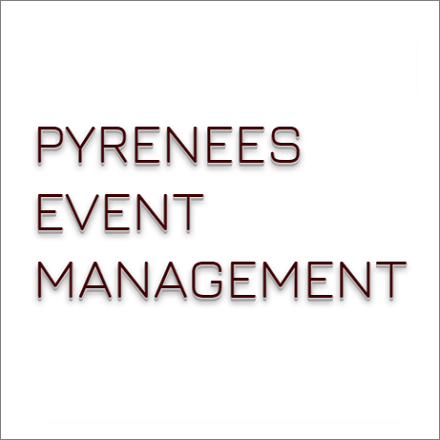 This is a historic area in the Pyrenees on the border of Spain and France. 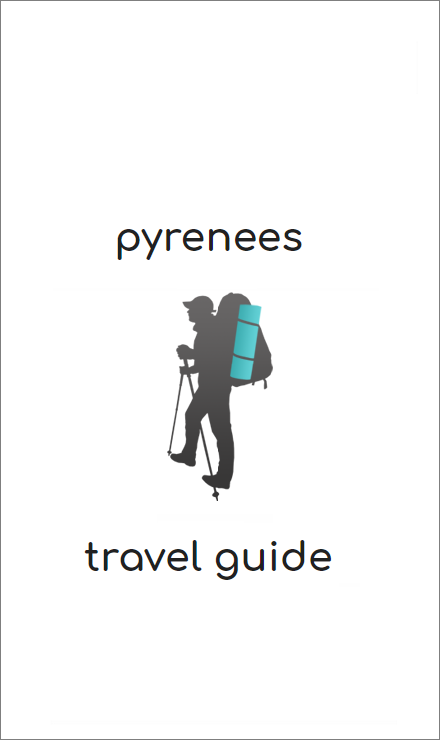 In addition to alpine skiing, Cerdanya is interesting for its history, ancient small towns, landscapes and historical and geographical casus in the form of a Spanish enclave on French territory. 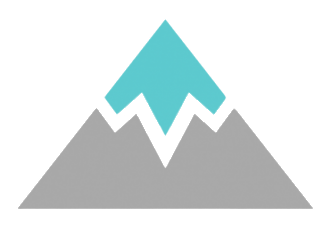 The plateau borders the Puigmal ridge (2,910 m high) in the south, and in the north with the Carlit ridge (2,921 m high). 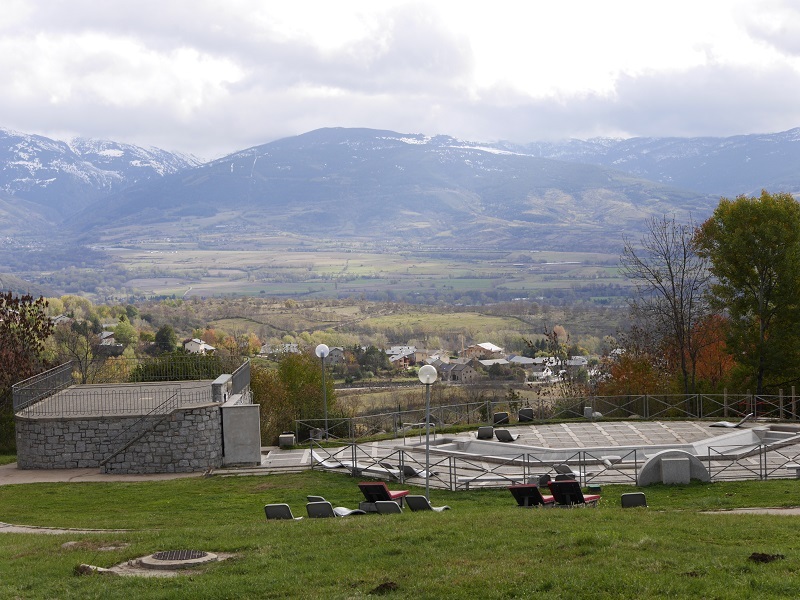 To the East of Cerdanya, through a valley called Tet (Têt) it borders the Mediterranean Sea. In the west – through the Segre Valley (Sègre), the plateau borders the Spanish city of La Seu D’Urgell and Andorra. Cerdanya has a special microclimate – it experiences many sunny days at any time of the year and especially dry air. Therefore, patients with asthma, people suffering from respiratory diseases, as well as those who wish to undergo heliotherapy and who are shown treatment with thermal waters come here for rehabilitation. The existence of baths has been proven since Roman times, as evidenced by the ancient ruins near the source. The village of Dorres is also known for the development of granite. In 1841, the first wash bowl was cut out of granite, which was used for bathing. Previously, hot sulfur water was also used to wash sheep’s wool. It is known that during the war of 1939-1945, French resistance troops were stationed in the village. After the war, for a long time, the baths were freely available. Only in 1991, new granite baths and a wash basin were built, and the space was fenced off. Today the local municipality manages the SPA baths. 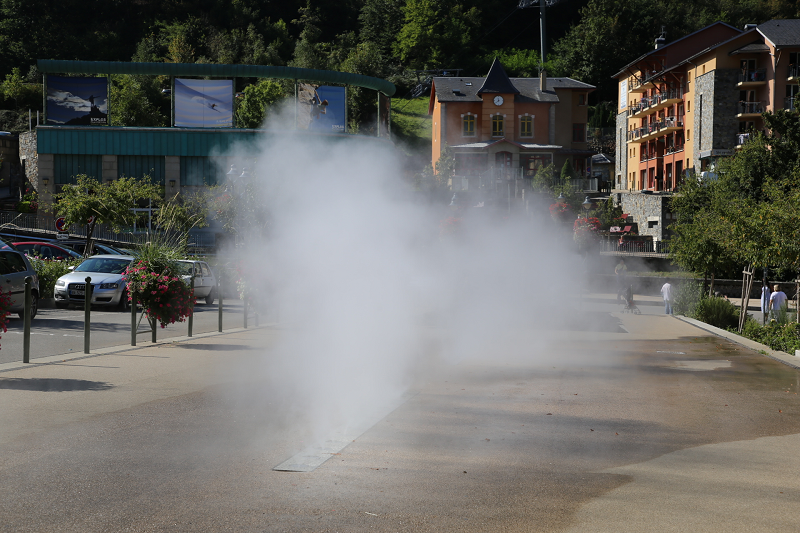 Thermal springs are rich in hydrogen sulfide and minerals. Their temperature is from 37 ° C to 40 ° C, and it does not change during the year. Source water analysis conducted by Madame Lucette Martinaggi-Germa in her book “Dorres, Granite et Eau”, issue 2007. 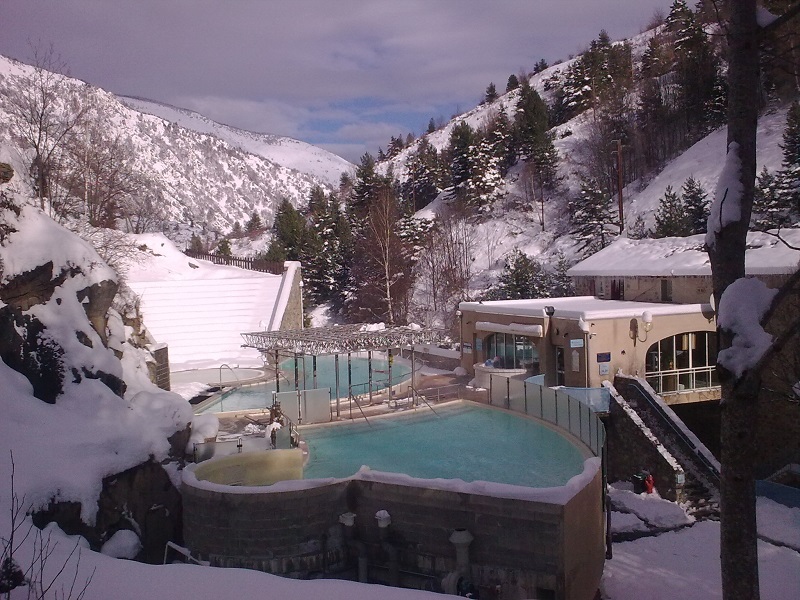 Consumption: 5 liters / s.
Dorres Roman SPA baths – a skiers’ favorite place to come after skiing to relax and rest. Opening hours: daily from 9:00 to 19:30. From mid-November to early December, the baths are closed for a maintenance to be carried out. The price as of 01/01/2018 is € 5. Here you can have a wellness massage (Californian massage, shiatsu and Korean relaxing massage) outdoors – in the sundial. The Roman baths of Dorres and the baths of Llo (30 minutes by D618, D30, N116, D33) are a great addition for hiking lovers, mountain bike lovers and cyclists: here you can find a huge selection of routes. The mountain lakes in the Carlit massif is a great place for fishing. In the district you can find well-preserved Romanesque churches. It’s also interesting to visit the largest solar furnace, Odeillo. Mont-Louis (Mont-Louis, 30 minutes by D618, D29, N116) – a city surrounded by the highest wall in France – is one of the 14 main sites of Vauban (Sébastien Le Prestre, marquis de Vauban – an outstanding military engineer, Marshal France, a writer. The fortresses built by him was declared a UNESCO World Heritage Site). The nearest train stations, from where you can take a fascinating journey on the tourist “Yellow Train” (Train Jaune), are Latour-de-Carol-Enveigt (7 km), Ur-les-Escaldes (5 km), Bourg-Madame (7 km) . In summer, open wagons are especially popular.